BioAnalysis software package is a complete analysis suite ideal for gait, balance and power analysis. from small sensors like the HE6X6 to large force plates like the BP12001200. 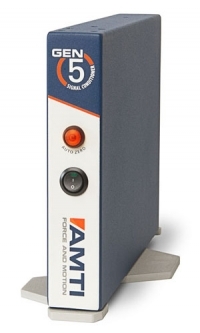 NetForce software is a complete data acquisition solution specifically designed to gather data from AMTI's multi-axis force plates and force sensors. The software is provided with all of our transducers. Balance Trainer is a tool designed for balance rehabilitation and training, providing a programmable visual feedback retraining solution.